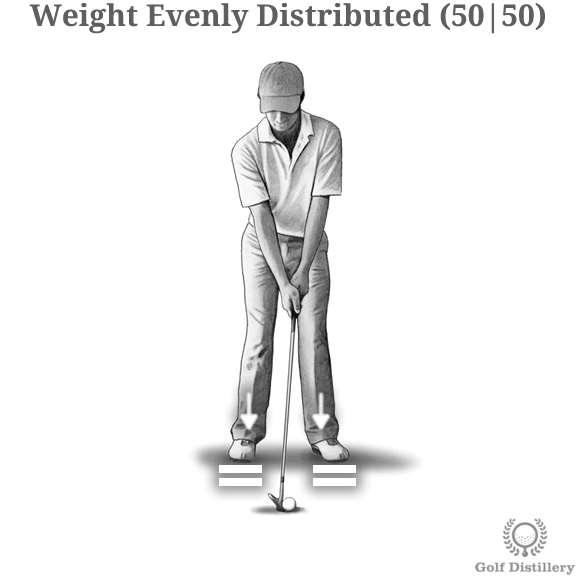 The standard golf swing calls for your weight to be equally distributed along your two feet at address. 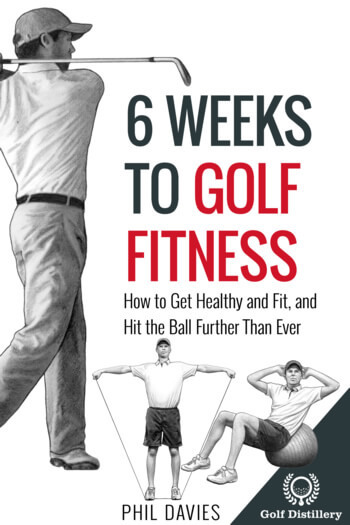 Indeed, regardless of where the ball is located in your stance (forward, back or middle) you should feel as though your feet are supporting your weight equally for most normal golf shots. 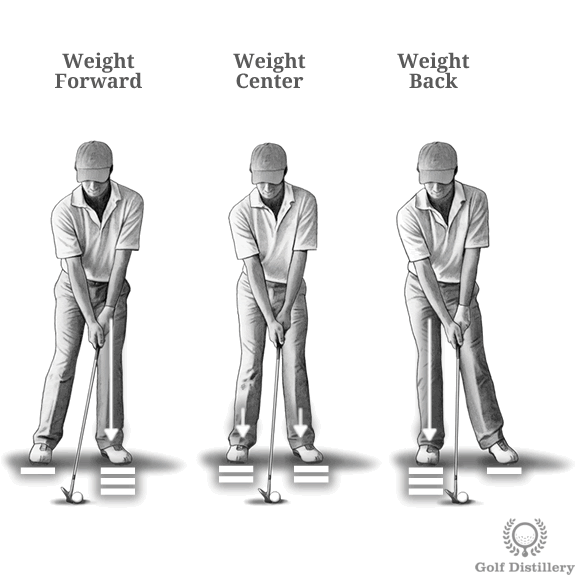 There are instances where you would want to position your weight towards your front (left) foot at address. In those instances, rather than distributing the weight equally among both feet you’ll slide your hips forward, at which point you should feel the majority of your weight resting on your left foot. 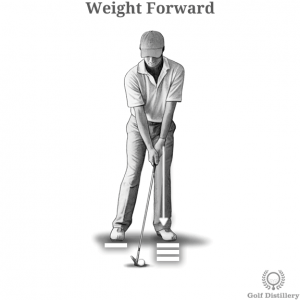 Without modifying your ball position in your stance, moving your weight forward will increase the shaft lean of your club, which will further promote trapping the ball. Indeed, doing so will promote a cleaner contact at the ball and the downward strike at the ball will shield you from fat or chunked shots. Because of those features, putting your weight forward is often recommended in chip shots or other delicate shots around the green. Finally, increasing the shaft lean through moving your weight forward brings with it a decrease in the loft of the club, delofting it slightly and sending the ball on a lower flight path than it would otherwise. 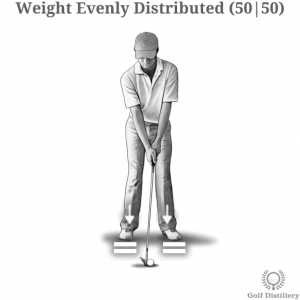 There are instances where you would want to position your weight towards your back foot rather than forward, or evenly split. In those scenarios you’ll achieve your goals by sliding your hips backward until you feel the majority of your weight located atop your right foot. 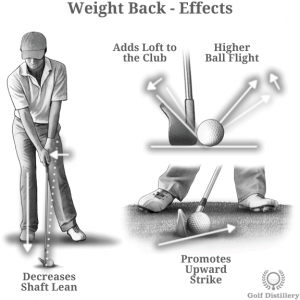 Without modifying your ball position, moving your weight back will modify the shaft lean in your club. Indeed, by moving your hands backwards in coordination with your hips you’ll decrease the lean in your shaft. Additionally and in connection to this, the effective loft of your club will also be modified and in this case it will be augmented. 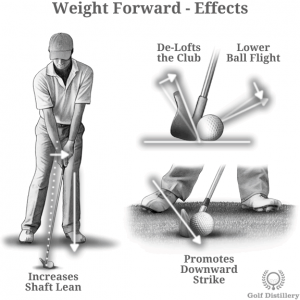 Indeed, whereas an increase in shaft lean leads to a decrease in loft, a decrease in shaft lean leads to an increase in loft. So on the flip side of a shot with weight forward, moving your weight backwards will promote higher ball flights for your shots. 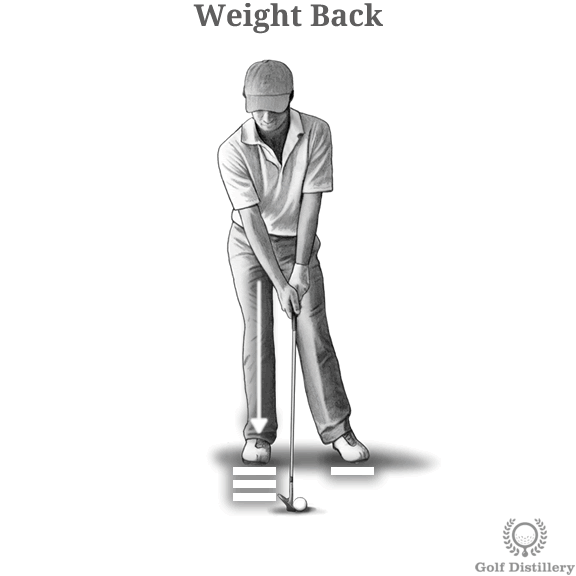 It should be noted that moving your weight backward is often done in error rather than in trying to hit a specific shot. Indeed, there are few instances where you’d want to position your weight thusly at address. 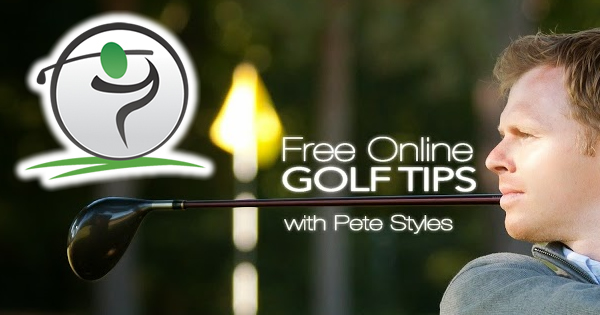 Still, you may want to set up in such a way when you are positioned inside a fairway bunker and close to the lip. Or otherwise, you may adopt such a setup when a mound is located right in front of you and could catch the ball if it doesn’t rise high fast enough. 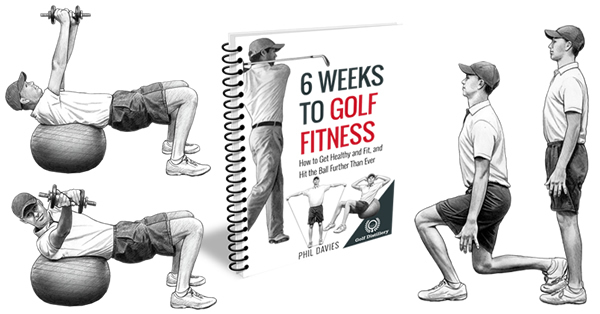 Finally, very high flop shots can call for moving your weight back. Indeed, adopting such a position will further augment the loft of your wedge and will shoot it straight up.